If you could only have smelled the chili cooking last night in my home! I knew after tasting my latest paleo dish creation that I needed to share it with you all. I got this recipe from the Civilized Caveman website. There are a lot of great recipes on here so I highly suggest taking a look around. 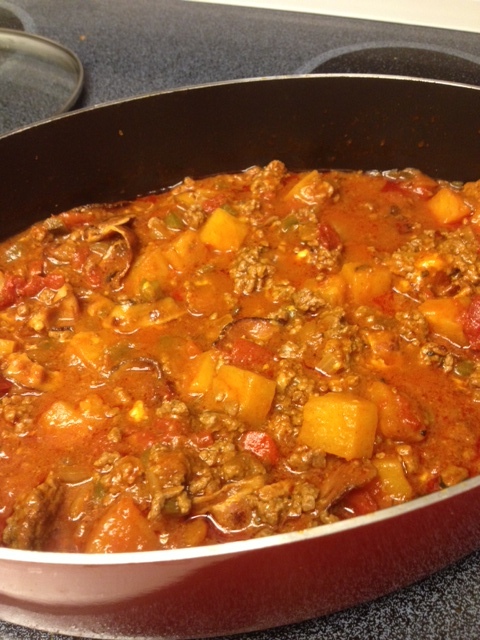 As the chili simmered, I was upstairs working and let me tell you, the smell wafting upstairs certainly made me hungry! Why do I do this to myself? I wake up with a puffy face, congested sinuses, and an unhappy tummy. I had to walk for several minutes during last night’s run because my stomach was cramping so bad that I thought it was going to give way at any second. I have vivid dreams and wake up tired. What have I done to do this to myself you ask? Simple. I have been eating breads, specifically a delicious, yummy Domino’s pizza the past two nights for dinner and a half of a sandwich during a work event. Sure, I have been busy, busier than usual (I will address this issue in about a week and a half) but I know its no excuse for slacking on my diet and trying to adhere to Paleo guidelines. I know better! Especially less than 2 weeks before a half marathon. I try to justify why I can eat certain things like “well last time it didn’t upset my stomach so why not” or “its cheap, fast and convenient” or “I don’t have time to cook and it will take away from precious time spent on other things”. Seriously Jaclyn, you know that doesn’t pass muster. I’m posting this publicly to hold myself to a higher standard and to keep me accountable. I should not need a 30 day challenge at CrossFit to keep me in-line rather I should have the will power to not indulge in pizza and if I do, I should probably get the gluten free crust next time. No one is perfect, no one’s diet is perfect, but I know I can do a better job and by doing a better job, I will feel a million times better. 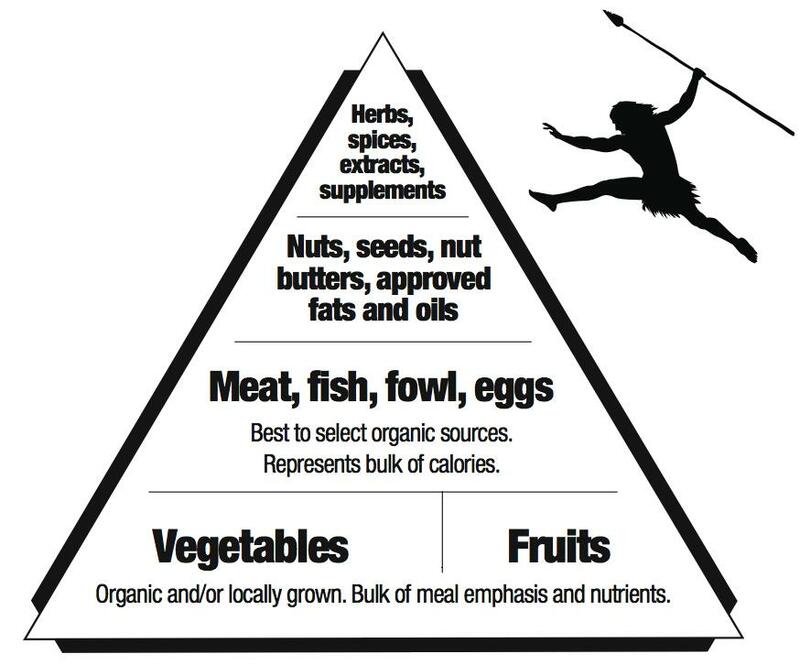 Notice there are no whole wheat or grains listed on the pyramid unlike our lovely government’s pyramid they try to sell us on. Now don’t get me wrong, I have not been eating poorly every meal its just that the meals I do eat poorly at stand out that much further. When the meals get in the way of my training, I get pissed and when I get pissed, I like to change things. So here’s to changes and getting back on track.